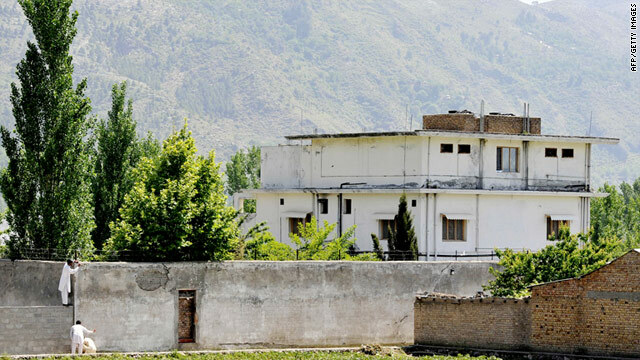 How risky was the Osama bin Laden raid? Editor's Note: Micah Zenko is a fellow for conflict prevention at the Council on Foreign Relations, where he blogs. You can also follow him on Twitter. The following is reprinted with the permission of CFR.org. Editor's Note: Tune in Sunday at 10a.m. or 1p.m. ET for Fareed Zakaria GPS on CNN. After months of meandering, it seems President Barack Obama's re-election campaign has settled on a theme. The problem is - it's the wrong one. The "Buffett Rule" tax on millionaires has become Obama's bumper sticker. The proposal is reasonable - but it does not deserve the attention Obama is showering on it. It raises a trivial sum of money - $47 billion over the next 10 years - during which period the federal government will spend $45 trillion. It adds one more layer to a tax code that is already the most complex and corrupt in the industrialized world. “This pudding lacks a theme,” Winston Churchill once said of his dessert. The same might have been said of Barack Obama’s election campaign, which started strong with his State of the Union address in January and then meandered. It appears finally to have settled on a theme — but it is the wrong one. Recently the president and his advisers have focused on taxing the rich and tackling inequality. 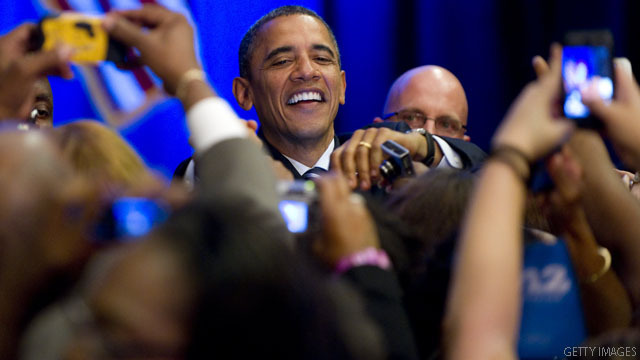 The “Buffett rule” tax on millionaires has become Obama’s bumper sticker. The proposal is reasonable — but does not deserve the attention Obama is showering on it. It raises a trivial sum, $47 billion over the next 10 years, during which period the federal government will spend $45 trillion. It adds one more layer to a tax code that is already the most complex and corrupt in the industrialized world. If the president wants to be bold, he could propose comprehensive tax reform and eliminate the hundreds of deductions, exemptions, credits and loopholes, many of which Congress sells in exchange for campaign contributions. Warren Buffett wrote in an op-ed: "My friends and I have been coddled long enough by a billionaire-friendly Congress." 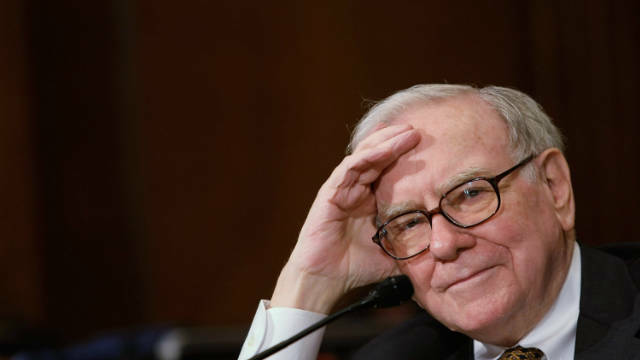 The Buffett Tax will raise about $47 billion over the next ten years and the federal government will spend vastly more than that - $45 trillion over the next ten years. So the total revenue from the tax is clearly trivial in comparison to the scale of the problem in terms of deficit or debt. I made this point in my discussion with the Chairman of President Obama’s National Economic Council, Gene Sperling. His response was to really not view it in isolation but to view it as one part of a much larger deficit reduction strategy. He said 'We already have cuts in many programs; we proposed more.' Sperling implied that President Obama was going to accept even more discretionary spending cuts. Editor's Note: J.D. Foster is the Norman B. Ture Senior Fellow in the Economics of Fiscal Policy at The Heritage Foundation, a conservative think tank in Washington, D.C. Curtis Dubay is a Senior Policy Analyst at The Heritage Foundation. They both blog at The Foundry, where this was originally published. What do you do when you’re losing a debate? Change the subject. That’s really all you need to know to understand President Obama’s resuscitation of his infamous “Buffett Rule” that would impose a minimum 30 percent effective tax rate on businesses and families earning $1 million. Editor's Note: Jagdish Bhagwati is University Professor of Law and Economics at Columbia University and a senior fellow at the Council on Foreign Relations. For more, visit Project Syndicate's excellent new website or follow it on Facebook and Twitter. The selection of a successor to Robert Zoellick as President of the World Bank was supposed to initiate a new era of open meritocratic competition, breaking the traditional hold that the United States has had on the job. Indeed, Zoellick’s own appointment was widely regarded as “illegitimate” from that perspective. But US President Barack Obama has let the world down even more distressingly with his nomination of Jim Yong Kim for the post. 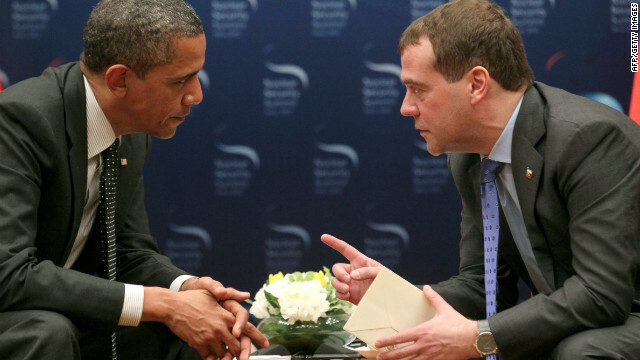 President Obama’s candid conversation with Russian President Dmitry Medvedev was caught on an open mic. Lindsay: Was Obama playing Medvedev? Editor's Note: Dr. James M. Lindsay is a Senior Vice President at the Council on Foreign Relations and co-author of America Unbound: The Bush Revolution in Foreign Policy. Visit his blog here and follow him on Twitter. The incident added to a long list of presidential and vice presidential “open mic” gaffes. During a sound-check before a 1984 radio interview, Ronald Reagan warmed up by saying, “My fellow Americans, I’ve signed legislation that will outlaw Russia forever. We begin bombing in five minutes.” That got people’s hearts pounding. President Biden famously called the signing of Obama’s health-care bill in 2010 “a big f***ing deal.” Parents of young children were not pleased. Obama’s critics have blistered him for this week’s gaffe, because, well, that’s what critics do. Should foreign policy be politicized? Editor's Note: Richard Fontaine is a senior advisor at the Center for a New American Security and teaches the politics of national security in the Security Studies Program at Georgetown University's School of Foreign Service. The views expressed in this article are solely those of the author. It's that time of the election again. As the primaries wind down and the general election looms, foreign policy becomes ever more politicized, and particular events - such as President Obama speaking to Russia's Dmitry Medvedev over an open microphone - generate debate and partisan tussles. After all, the only thing more predictable than partisan sniping over foreign policy in the midst of an election year is the weary reaction of foreign policy leaders and experts that we should somehow be above all this. In an interview with Fareed Zakaria earlier this year, President Obama himself remarked that, "In foreign policy, the traditional saying is, 'partisan differences end at the water's edge.'" Editor's Note: Matthew Rojansky is the deputy director of the Russia and Eurasia Program at the Carnegie Endowment for International Peace. Wolf Blitzer: That is a factual statement that the president is making. If he doesn't have to worry getting reelected, he doesn't have to worry so much about domestic politics. Is there anything wrong when it comes to national security issues, to be saying something like that to the Russian leader? Mitt Romney: Yes, there's something terribly wrong with that. It is alarming. It is troubling. The agreement that the president put in place with regards to nuclear weapons is one which I find very, very troubling already. The decision to withdraw our missile defense sites from Poland put us in greater jeopardy, in my view. The actions he's taken so far which he says are to reset relations with Russia have not worked out at all. 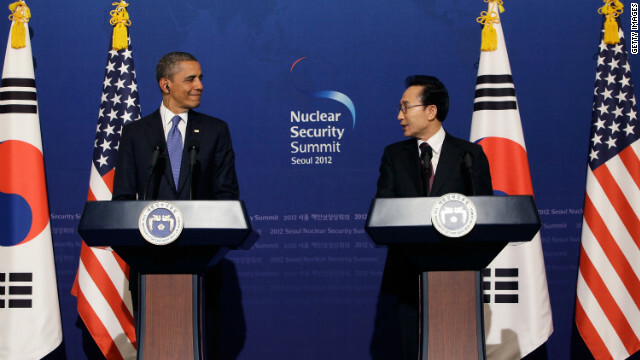 U.S. President Barack Obama and South Korean President Lee Myung-Bak hold a news conference in Seoul, South Korea. Editor's note: Richard J. Chasdi is an adjunct assistant professor at the Center for Peace and Conflict Studies at Wayne State University and the author of "Counterterror Offensives for the Ghost War World: The Rudiments of Counterterrorism Policy" (Lexington Books, 2010). World leaders are meeting in Seoul this week to discuss how to deal with the threat of nuclear terrorism. The effort to prevent the misuse of nuclear materials and the spread of nuclear weapons has long-placed most emphasis on defensive measures. These are essentially on the "supply side" - aiming to choke off the flow of nuclear weapon components and radiological materials to terrorists. While there is a place for such steps, there is another, and perhaps more successful way, to accomplish the goal. One of the gravest threats to nuclear proliferation arises from the nations that use proxy groups - seemingly independent organizations that are paid to further the interests of governments. Ending or reducing the use of such proxy groups has real potential to reduce the availability of such materials to terrorists. Perhaps the single, most dominant security threat stems from the nuclear-tipped country of Pakistan, with its accepted use of proxy groups to promote the perceived national interest. Third-party transfer, where a country receiving weapons sells or gives them to another party, is always a danger, and with it looms the possible catastrophe of nuclear weapons in the wrong hands.